In the winter of 2015 in the Children’s Workshop School in the East Village, a Manhattan fourth grader peered into the dusty crevices beneath his classroom closet floorboards. He wondered what treasures might have fallen there in the 104 years since the building was constructed. His classmates took notice and joined him in poking under the boards and pulling out artifacts of everyday life. Through this “closet archaeology,” the students excavated an accidental time capsule built over a century by the students who had also once sat in their classroom. These junior archaeologists have unearthed love notes, spelling tests, caps from glass milk bottles, portraits of silent film stars, penny candy wrappers, and more. They have even found former students, now adults, who remember losing these items. The project was covered in The New York Times. Miriam Sicherman runs the Closet Archaeology Instagram account. 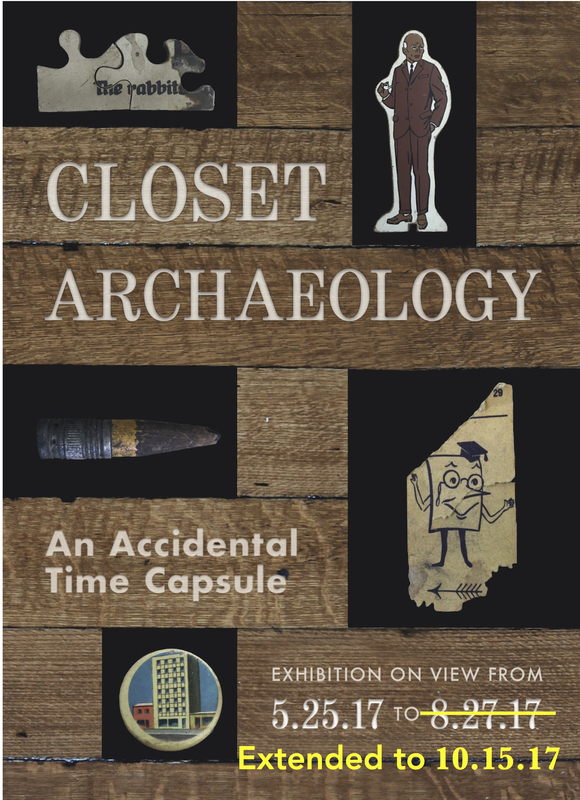 The City Reliquary is proud to present the first formal exhibition of Closet Archaeology after featuring it at Collectors’ Night 2017. Beverages available by suggested donation, with beer courtesy of The Brooklyn Brewery. See the slideshow below for a selection of objects, and see even more of Miriam’s students’ finds on the Closet Archaeology Instagram.